My only experience of New York hotels prior to our stay at The London Hotel, NYC was a that they’re really expensive for a very small basic room. 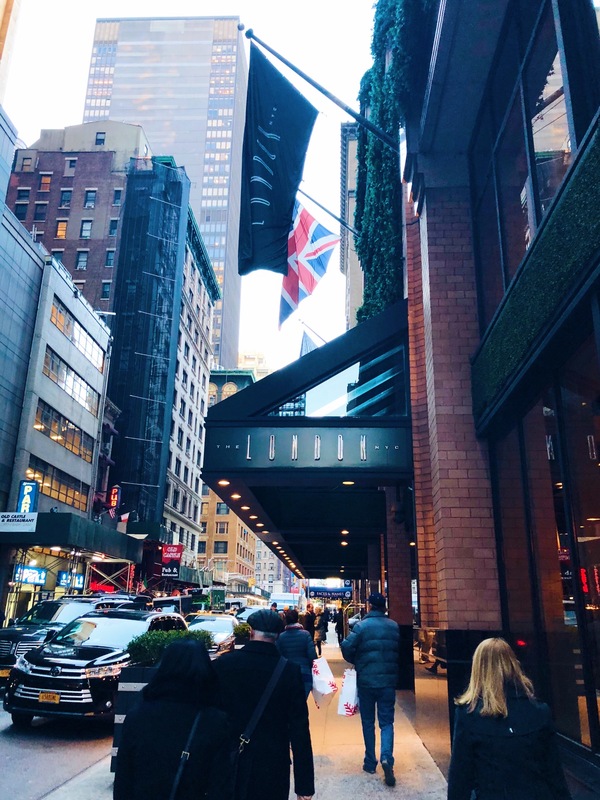 For our family trip to New York in November last year, instead of booking individual rooms we searched and found The London Hotel, a modern, suite only hotel right in the center of Midtown Manhattan. This gave us a much bigger space, but still with the privacy of separate bedrooms and bathrooms, and a lounge area between. 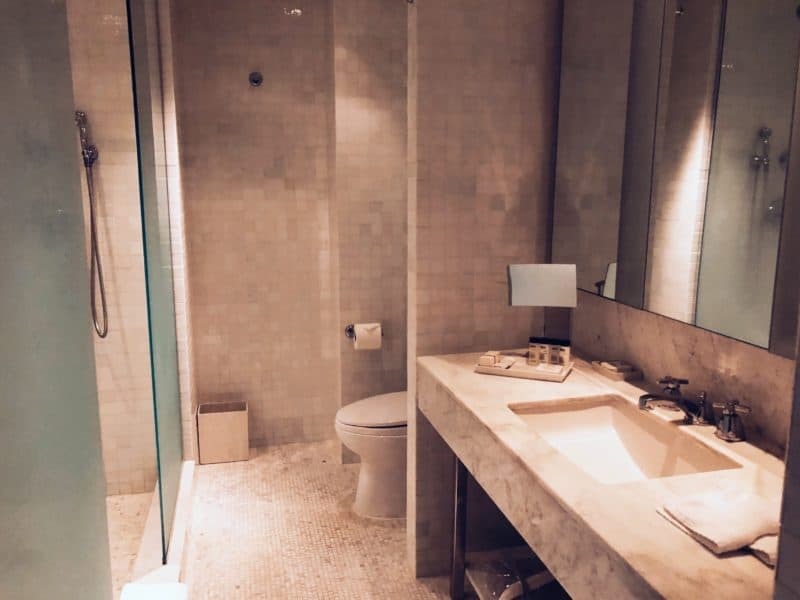 With only one night to spend in the city, we wanted somewhere really nice, yet convenient, and with enough space for four adults on a family trip. 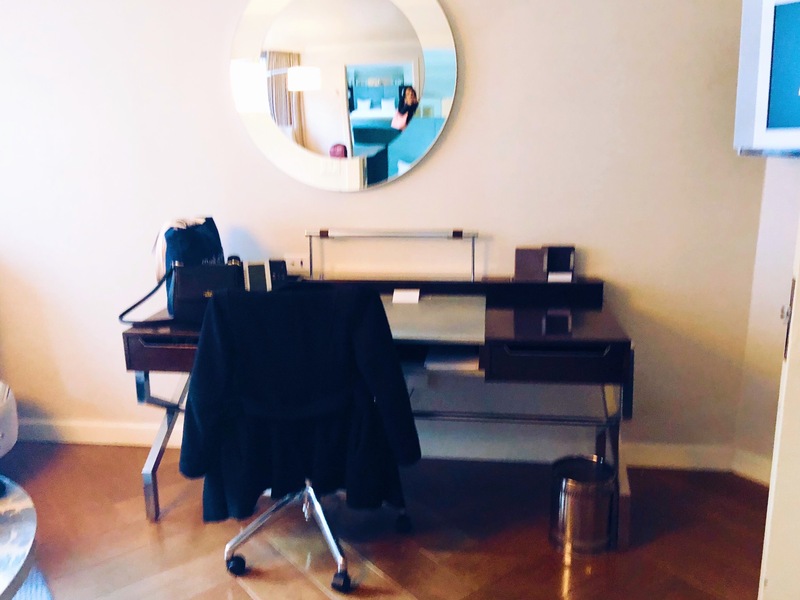 The London Hotel, NYC ticked all the boxes. We arrived into Penn Station and it was a short taxi journey from there to The London, with fleeting glimpses of the Empire State building, Times Square and the Chrysler building on the way. If you’re flying into New York, your taxi from the airport into Manhattan is going to be somewhere between $80-$100 including tolls and a tip. Sweeping up to the entrance, the hotel stands out on 151 West 54th Street, with it’s huge Union Jack flags, and black exterior. As with most buildings in NYC, when you’re right next to it you don’t realise the sheer size of it, scraping the skies above you. 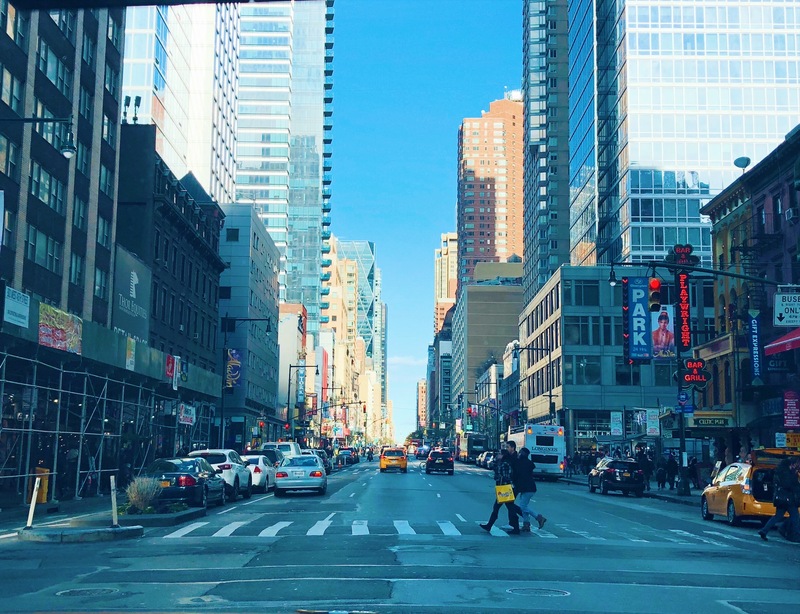 We chose the hotel mainly for it’s location, with such a short time in New York we wanted somewhere that we could still have easy access to some of the big tourist attractions and sights close by. I’ve been to NYC a few times, and had narrowed down for my parents what we would manage to fit in the 48 hours we were there. The London was in the perfect spot for all of them. 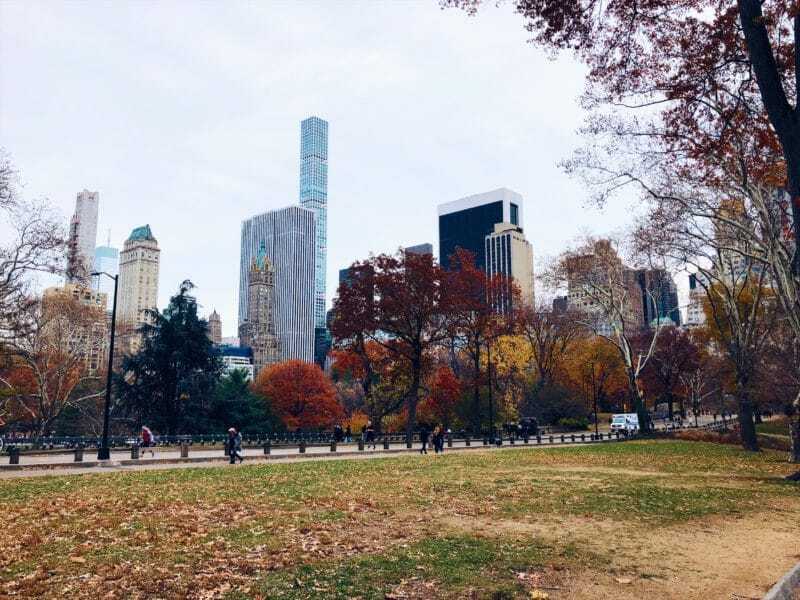 On our first day we went for a walk through Central Park, saw Saks Fifth Avenue, and went to the Rockefeller Centre and up to Top of the Rock. On our second day we walked most of the way up 5th Avenue, seeing all the shops, the New York Public Library, the Empire State Building and Grand Central Station. All of this was within a ten-fifteen minute walking distance from the hotel which is between 6th and 7th Avenue. We didn’t make it to Times Square, or Broadway on this visit, but again both are within a ten minute walk. 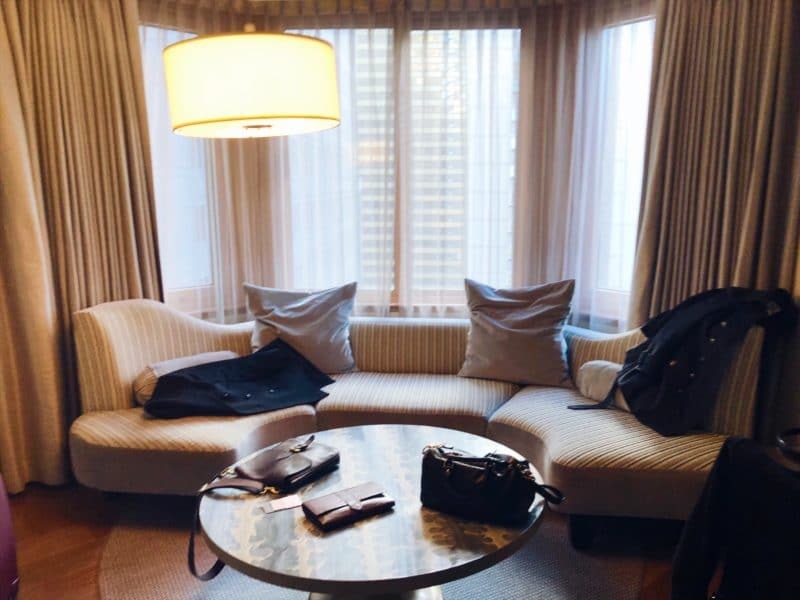 Overall, for a first time visit to New York or if you’re looking for a really central hotel then The London is in the perfect spot. Arriving at The London the concierge sweep around the taxi opening doors and helping you with your luggage, so you can get into the grand lobby to check in without any hassle. Looking around, the bar is to the right of the entrance, and that’s about all I saw as check in was so quick. We arrived in New York quite early, and I’d called ahead to see if we could get into our room early. There was a room free so they were happy to let us in as soon as we arrived, at no extra cost. We were taken up to our suite and shown around, and our luggage followed not far behind. Entering the suite you find yourself in the lounge area, with a bay window sofa, coffee table, desk with power and internet access, and a fridge. There was more space in this one room than previous New York hotel rooms I’ve stayed in. The first double room and en suite was to the left, separated from the lounge area by sliding doors. To the right is the second double room and en suite, separated by a proper door. There was wardrobe space, railings, luggage space and mirrors in both double rooms, as well as a desk and TV’s. Free wifi is available throughout the hotel too. 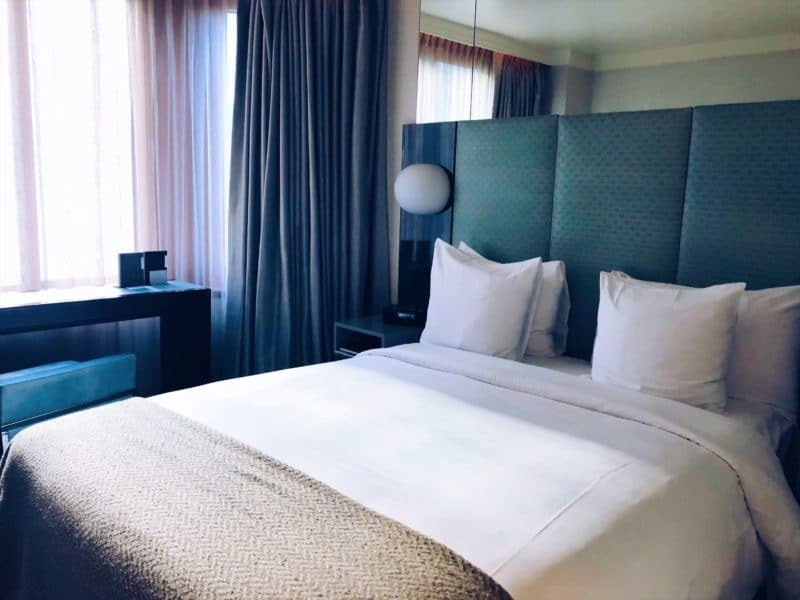 The room was really comfortable, and despite being right in the center of the city that never sleeps, I slept perfectly with no noise filtering through the thick glass windows. After long days wandering through the concrete jungle that’s exactly what you need. The bar at The London was one of my favourite things about the hotel, as well as the location and the view. Just off from the main lobby you’re welcomed in to the plush room with booths, low level tables, or offered a high seat up at the bar. 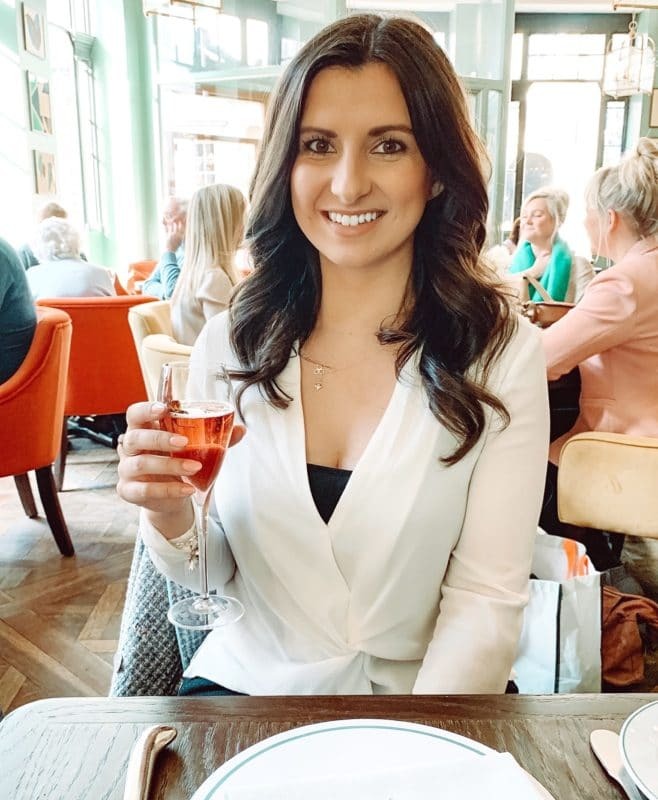 It’s modern and luxurious, and the waiters brought over water and bowls of nuts and bar snacks while we browsed the menu. Serving a full range of drinks, the well stocked bar also offers some unique cocktails, but they definitely aren’t cheap! There’s the classic menu with cocktails from $15, but I had my eye on the Red Carpet, priced at $21 from the moment I saw it on the menu. 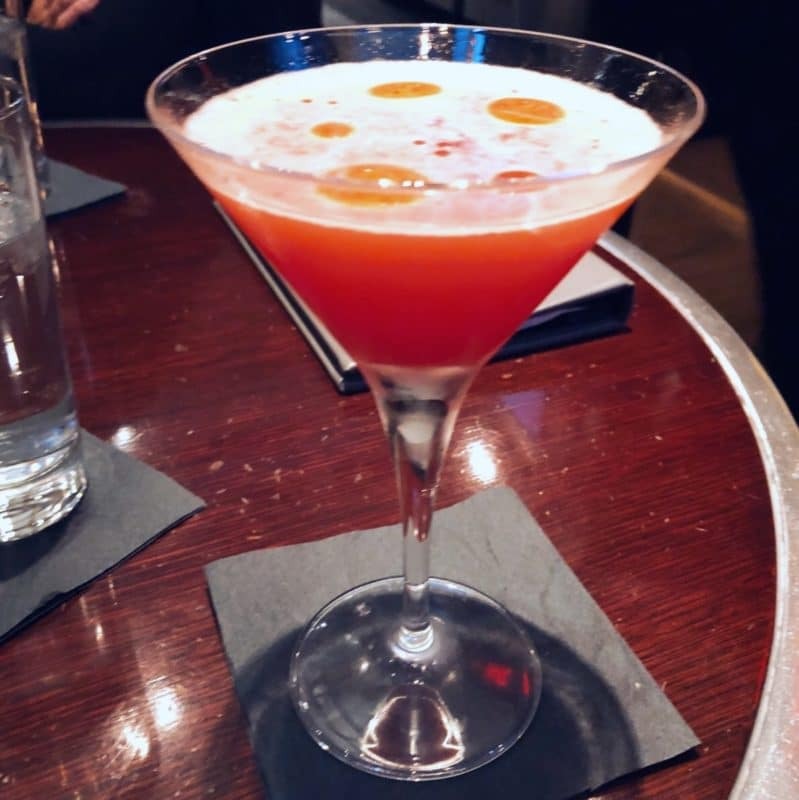 Made from ‘Russian Standard Gold Vodka, fresh raspberries, blood orange and lime juices, agave nectar, topped with Thai chili pepper-infused oil’ taken straight from the downloadable menu here, it was worth every penny. The bar also serves food, from a full breakfast menu, to lunch and evening main dishes. Room service and private dining is also available. Our stay may have been quite short, but the hotel was lovely, really comfortable and luxurious, the staff were so helpful and friendly, and it was in an incredible location. 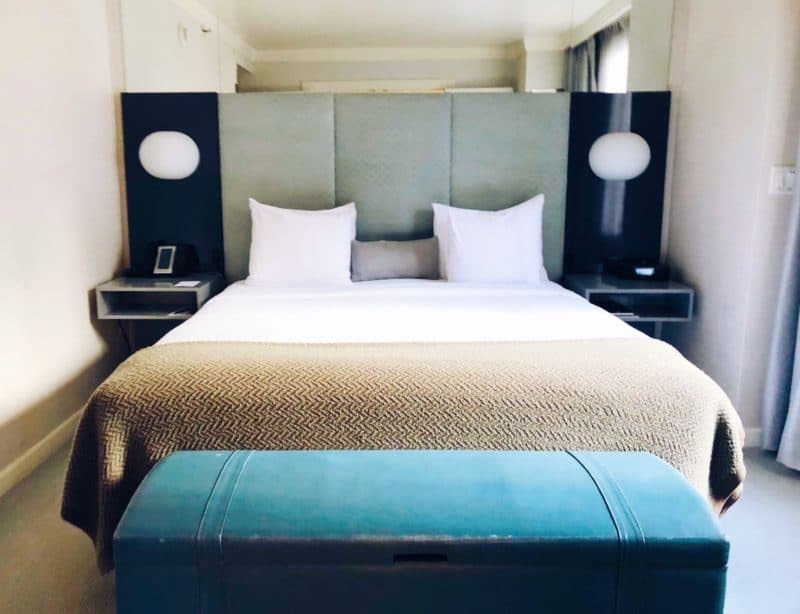 Naturally with all of this on offer in midtown Manhattan, it doesn’t come cheap, with standard rooms starting from $399 per night. 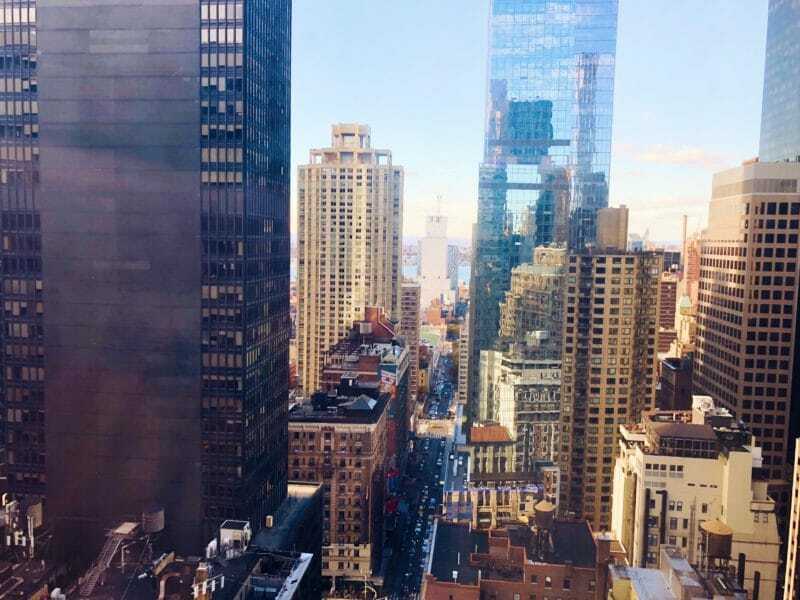 New York is so expensive, and location is one of the things you shouldn’t compromise on and this will take some beating. 20 Things to Tick off your Tulum Bucket List! Wow what a beautiful hotel! 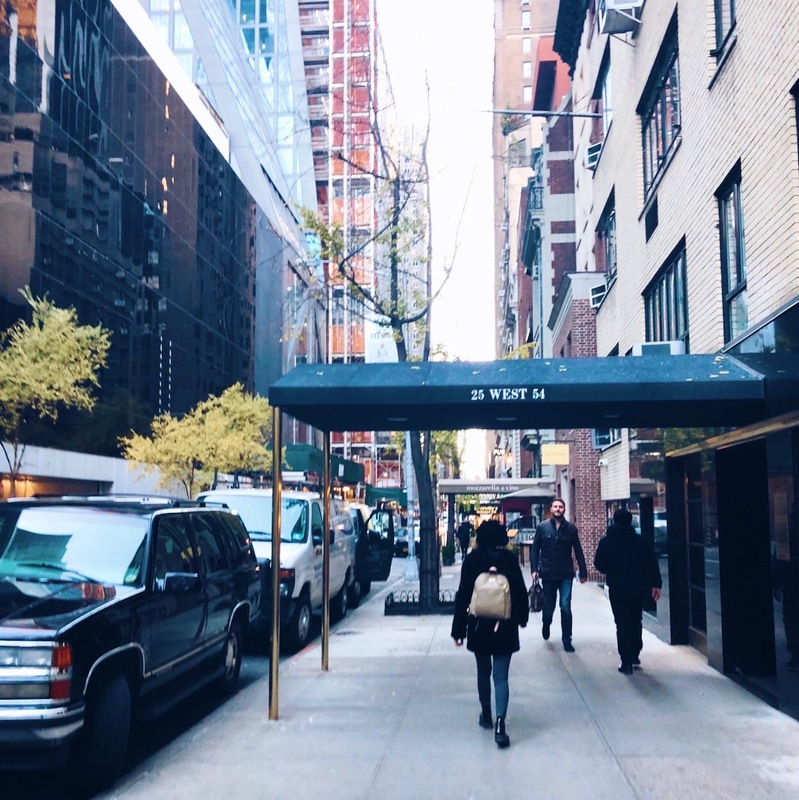 I’ve only ever looked into planning a trip to New York once and it was the price of the hotels that ended up putting me off – SO expensive even for places with awful reviews. I will get there one day, think i’ll just need to save a bit harder!